The Ashley Laney 3-Piece Table Set is ultra-modern. 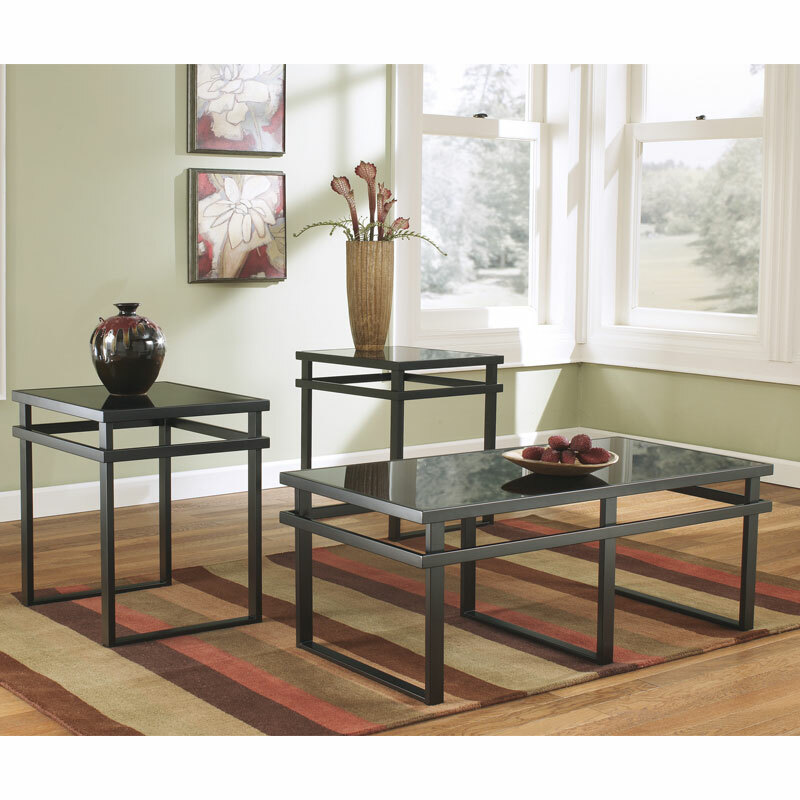 Featuring sleek metal framing and opaque black glass tabletops, this mesmerizingly monochromic trio has standout style. Set includes 2 end tables and 1 coffee table.